Scott, Bill and Nathan: Congratulations!! If you would email me your shipping address, I'll have Eerdmans send you the book. "History, academically defined, is, then, best understood as a conversation between the past and the present" (xxii). Congrats again, Prof Runesson. I'll be giving some more thoughts on this book in due course. "Homelessness, Neoliberalism, and Jesus’ ‘Decision’ to go Rogue: An Analysis of Matt. 4:12-25," in Reading the Bible in an Age of Crisis (2015). You may require an Acadmia.edu account to access this. It is well worth a read. It will certainly spur classroom debate! The six paragraphs addressing the law concern anger (Matt 5:21-26), lust (Matt 5:27-30), divorce (Matt 5:31-32), oaths (Matt 5:33-37), revenge (Matt 5:38-42), and love (Matt 5:43-48). Many biblical scholars label these paragraphs “antitheses,” because in their view Jesus and Moses are at odds with each other. The Law of Moses permits divorce (Deut 24:1-4), oaths (Lev 19:12; Num 30:2-3; Deut 23:22), and retaliation (Exod 21:24-25; Lev 24:20; Deut 19:21). Jesus, with his repeated “but I say to you,” prohibits all of them. Yet there are problems with supposing that Jesus contradicts the Law of Moses. Matt 5:17-20 says explicitly that Jesus has not come to abolish the Law and the Prophets. To the contrary, people should obey and teach them. One could scarcely be any clearer. It looks very much as though Matt 5:17-20 is located precisely where it is in order to prevent readers from imagining that Jesus, in the paragraphs that follow, intends to undo the teachings of Moses. He then asks, "But how can this be, if Jesus abolishes divorce and oaths and forbids retaliation?" I plan to have my class read this article aloud. Allison's solution to the problem is not as important (pedagogically speaking) as the problem itself. Most devotional readers of the Bible are not attuned to the problems that generate scholarly discussion. I hope to use this example to teach the practice of asking critical questions. To my mind, the ability to ask critical questions (both informed and interesting) is the first step toward creating a thesis statement. As I gear up for teaching Matthew's Gospel in week-long intensive format, I must choose a few articles for pre-class reading. I generally like to assign introductory material that is available online. In doing so, at least two factors are paramount: (1) my students need articles that are legitimately meant for first-year seminarians; (2) it makes things easier on all involved if my students can get this pre-reading done without the purchase of a textbook. (I do assign books but I don't like to assign them for pre-reading.) In addition to these two primary factors, I prefer authors with an eye to social impact. My students (by default) are practical and "woke" seeking to be more so. From time to time, I encounter the rare soul who loves the material for the sake of the material. Usually, however, my seminarians are serving communities in poverty (regardless of race, some outside North America) and not strangers to the many challenges associated with poverty. So if I can, I try to include resources that are relevant (or provide a foundation for socially informed discussion). William Loader, "The Gospel of Matthew An Introduction for Preachers"
Jerome H. Neyrey, S.J., "Honoring the Dishonored: The Cultural Edge of Jesus' Beatitudes"
Hat tip to the always useful NTGateway for pointing me in the right direction! The article by Loader serves as a brief, general introduction. 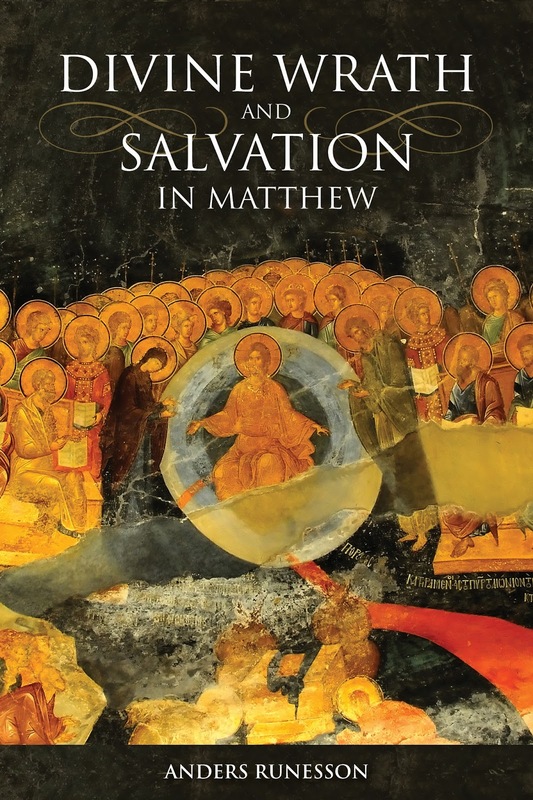 It charts a few key themes in Matthew by focusing on the first five chapters. The article by Neyrey contextualizes one of these themes by focusing on what is arguably Matthew's most famous passage. Finally, I've selected a paper presentation by Dobrovolny. Admittedly, this paper is not meant for first-year seminarians. But I think it is just the right amount of challenging once the first two articles have been digested. Are there other resources that would fit my interests and specifically focused on Matthew? I would love to hear suggestions. Remember, they must be accessible for first-year seminarians, available online, and socially aware. As I mentioned in an earlier post, the 2017 Christian Scholars' Conference (no, I had nothing to do with naming this event) took place earlier this month on the campus of Lipscomb University in Nashville, TN. This was my first official CSC meeting, so I'm not the best person to evaluate this year's program. I participated in two sessions on the first day, and I attended a plenary address by Prof. James H. Cone, wonderful presentation by Prof. Margaret M. Mitchell, a panel discussion of Jesus in Christian and Muslim perspectives, and a series of papers on Augustine and John Chrysostom. The first of my two sessions featured a 60-minute keynote presentation by Prof. Stuart Zola (Emory University), "How We Remember and How We Forget," which presented some fascinating information on the neuroscience of memory. Professor Zola's presentation brought out the link between perception and memory, which are perhaps distinguished only by time (perception = attending to stimuli in the present; memory = recalling stimuli that are no longer present) and are both subject to similar—if not exactly the same—dynamics of distortion, selectivity, omission, attention, and interpretation. As complex and impressive as the human brain is, it is not a recorder of information, either in the present or in the past. Seeing, then, may be believing, but it is no guarantee of truth, veracity, authenticity, or any other quality of correspondence with reality. In personal conversation (and in print, I'm sure), sociologist Barry Schwartz has complained that memory studies are set up especially to expose and highlight memory's failure and that such studies are actually disinterested in the normal, proper functions of memory. Professor Zola's presentation put this predisposition (I don't quite say bias, but I nearly do) on display in interesting ways. For example, Prof. Zola showed a variant of the famous "how many passes" video (see below), in which not just memory but perception itself are shown to be remarkably fallible. But here's the question I would ask in response: How many people, given the prompt, "How many passes does the team in white make?" get the answer to that question right? The answer, I would wager, is very high, especially if we allow for a slight margin of error (say, ±1). So while it's true that "it's easy to miss something you're not looking for," it is also true that it's possible to accurately follow something to which you're attending, to which you're expending mental energy and effort to perceive and/or understand. In the end, Prof. Zola's presentation concluded with a shocking claim: "The fundamental outcome of most communication is misunderstanding" (his italics). But this is a sensationalist and problematic conclusion. Or at least, I think it is, if I've rightly understood his point. 😏 True, misunderstanding is a constant feature of interpersonal and intercultural communication. But it is not the fundamental outcome, at least not most of the time. If it were, we would stop trying to communicate. Perhaps we usually miss or misunderstand this or that nuance. Perhaps sometimes we even fundamentally misunderstand an intended communication. But this is not the case most of the time, and only an artificial and blinkered re-creation of real-life scenarios—one as misleading as telling subjects to count passes when we really want to see if they'll notice a moonwalking bear—could truly lead us to think so. All of this illustrates why memory studies are so vital for Gospels and historical Jesus scholarship. If we learn anything from Prof. Zola—and we surely do; his work is fascinating and well worth accessing—it's that neither eyewitness perception nor eyewitness memory are the guarantors of historical or factual truth that we often think they are, especially in judicial contexts. The connections between memory's contents and history's realities are forged on a different plane. Claims, therefore, such as Richard Bauckham's, which have just been republished in a second edition, that the Gospels reflect eyewitness testimony and are, for that reason, reliable, rest on shaky—even crumbling!—theoretical and empirical foundations. But I will return to this claim in the next post, in which I discuss my second session, "Remembering Jesus: Memory, Texts, and Baptism." It seems that a book Dr. Keith and I edited/wrote has been cited in service to a clickbait agenda. Tarico and Fitzgerald have clearly not read the book in question. 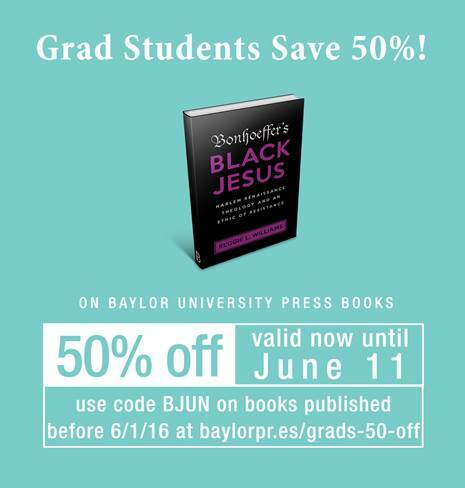 Our friends at Baylor University Press are currently running a discount intended for grad students but open to all. Use discount code BJUN at http://baylorpr.es/grads-50-off, which applies to books published before 6/11/2017. Happy shopping! I tend to imagine the readers of this blog to be highly intelligent (yes, you! ), close readers of sacred texts, and equipped with critical tools for interpretation. I also imagine that a subset of these readers are people of faith and/or religious practitioners. My guess is that many readers have religious upbringings but no longer practice. Or maybe you're a student of religion as an observant academic. If any of these guesses describe you, Damon Lindelof has created the perfect HBO series for you. 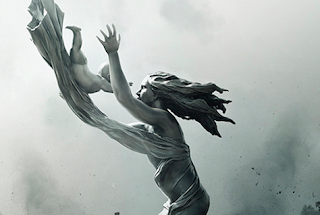 The Leftovers is one of the most intelligent portrayals of biblical and popular faith I've seen on any screen. The Leftovers wrapped up its third and final season this week elating some viewers and causing others consternation. Without revealing too much, the final episode spoke differently to different audiences. If you haven't seen it, do yourself a favor and avoid the reddit controversies and arguments. I am in camp of highly satisfied folks because I appreciate endings that allow for multiple theories of resolution. Almost any viewer who appreciates compelling storytelling, thematic development, and masterful acting will recognize the quality of the Leftovers. But viewers who are critical readers of the Bible and students of contemporary faith traditions will receive a double blessing. This series is replete with biblical symbolism: doves, floods, scapegoats, the Akedah, twins in competition, false prophecy, resurrection, Sarah's laughter, Job's theodicy, the Last Supper, etc. That said, these easter eggs are usually hidden in plain sight. The most obvious themes running through the narrative are persistent doubt and depth of grief. In addition to the biblical themes, echoes, and motifs, the show ascends to brilliance in its exploration of contemporary faith. The premise of the series is that the main characters have experienced something like an eschatological rapture (called "the departure"). More specifically, these characters are those who remain. While many beloved family members have vanished, they are the "leftovers." As critical readers of the Bible will know, the rapture is not a biblical theme. It is a modern invention of popular theology. Indeed, this is the Leftovers in a nutshell: an intelligent and critical exploration of popular theology. Notably, Reza Aslan served as a consultant for the series. Whatever else you might think about Aslan's scholarship, he seems to understand popular faith quite well. The show is not without flaws. When the series began in 2014, I gave up on it after three episodes. I had trouble with repeated convoluted introductions to new characters. Moreover, I had trouble internalizing the motivations of several key characters. But if you can refrain from quick judgements and allow the story to unfold, the development of the key characters is well worth the wait. Clearly, I gave up on the series too soon. Another flaw, in my opinion, is the show's failure to tie up a few loose ends. I will say no more about this now to avoid spoilers. The Leftovers is a serious drama punctuated with authentic moments of humor. At times, the cinematography is visually stunning. The writers'/directors' attention to detail is impressive (even down to the images in the backdropped upholstery and music selection). And if you decide to bracket out the biblical and religious themes, the show can function as a well-crafted science fiction. Finally, this entire series is contained in three seasons. It does not make the mistake of overextending its success and thus ending with a whimper. From alpha to omega, the Leftovers is heavenly.